We’re selling our soap at the Williams-Sonoma store at La Cantera this afternoon, come on out and see us! 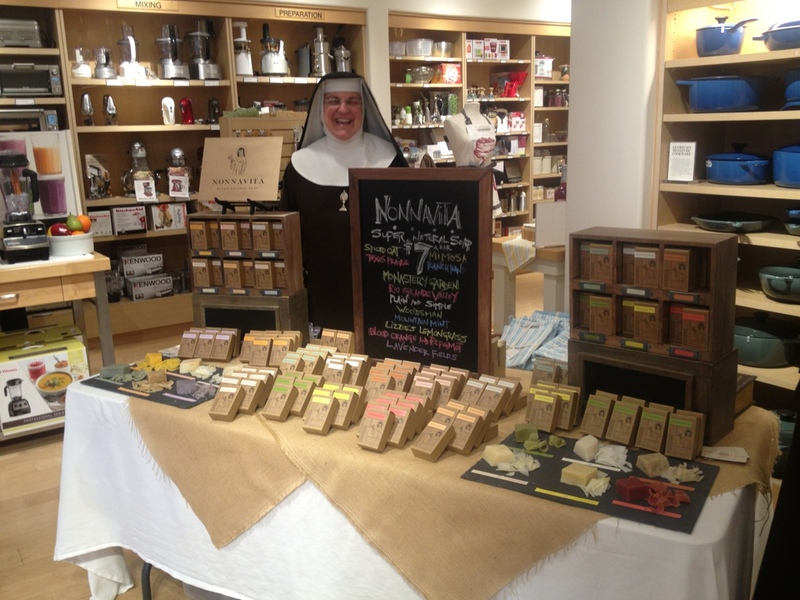 This entry was posted in A Nun's Life, all natural soap, Nonnavita Soap, organic soap, Soap by texasnuns. Bookmark the permalink. I just received my first bars of NonnaVita by mail! Thanks so much! No doubt I will be asking for more! Have fun at Williams-Sonoma. One of my fav stores. But I am not going out today. Rain and flooding here in New Braunfels. Hope can get to church in the morning! !